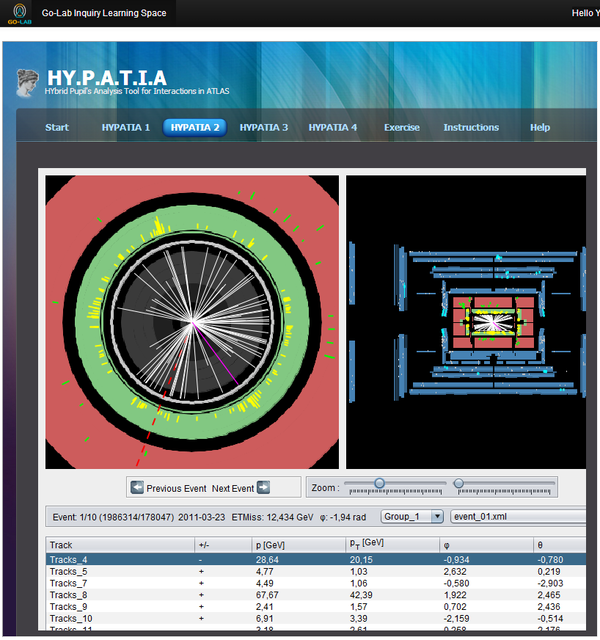 HYPATIA is an event analysis tool for data collected by the ATLAS experiment of the LHC at CERN. Its goal is to allow high school and university students to visualize the complexity of the hadron - hadron interactions through the graphical representation of ATLAS event data and interact with them in order to study different aspects of the fundamental building blocks of nature. HYPATIA aims to show students how real high energy physic research is done. It provides the students with real data and an environment that closely resembles what actual researchers use, to give them the opportunity to conduct their own analysis and “discover” new particles.